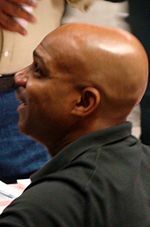 Haywood Nelson (born March 25, 1960) is an American actor. He is best known for having portrayed Dwayne Nelson on the television series What's Happening!! from 1976–1979, and its spin-off series What's Happening Now!! 1985–1988. Nelson, who grew up in Garden City Park, Long Island, New York, was a child star, appearing in many national commercials and in a movie, Mixed Company. From 1973 to 1974, he performed on Broadway alongside Marlo Thomas in Thieves. At the age of 14, he guest starred on Sanford and Son as Grady's grandson; at 15, he was in the cast of a spin-off of Sanford and Son called Grady (1975). The show was short-lived. The next year, in 1976, at the age of 16, he landed the role of Dwayne on What's Happening! !, the first African-American teen sitcom. As a "teenage heartthrob" on a popular television series, Nelson was one of the first African-American teen idols. In 1977, Nelson guest starred on Kojak in the episode "The Godson" as Bobby Moore. Nelson is now a main point advisor in his wife's oil/petroleum technology corporation, Skyewood. His wife Khnadya Skye, who is Arabic Egyptian, is listed as Nelson's attorney at SAG-AFTRA and IMDb. She is directly related to the Royal Family of Saudi Arabia and Dubai. Nelson is rarely seen in the public sector and is extremely private. He has gone on record to state that he hasn't seen or spoken to his former What's Happening!! castmates since 2014. 1975 Sanford and Son Haywood Marshall Episode: "The Family Man"
1977 Kojak Bobby Moore Episode: "The Godson"
1979 The White Shadow Randy Judd Episode: "Sudden Death"
1990 Dragnet Lyle Peters Episode: "The Book"
2000 The Parkers Himself (cameo) Episode: "Whassup with Heyyy?" ^ Byrd, Kenya N. (August 7, 2009). "Flashback Fridays: Haywood Nelson". Essence Magazine. Archived from the original on October 31, 2010. ^ Kennedy, James (October 23, 1998). "Haywood You Remember Garden City Park". Mineola American. Archived from the original on 27 March 2015. Retrieved 29 December 2014. ^ Thomas, Marlo (2010). Growing Up Laughing: My Story and the Story of Funny. Hyperion. p. 223. ISBN 9781401323912. Retrieved 29 December 2014. ^ "Haywood Nelson: Boy Crush". Essence. Retrieved 29 December 2014. New York native Haywood Nelson, who played Dwayne Nelson on the 70's sitcom favorite What's Happening! !, was the teenage heartthrob of the show. ^ Pavan (December 19, 2012). "Seven Questions with Haywood Nelson of What's Happening!!". Sitcoms Online. Retrieved 29 December 2014. 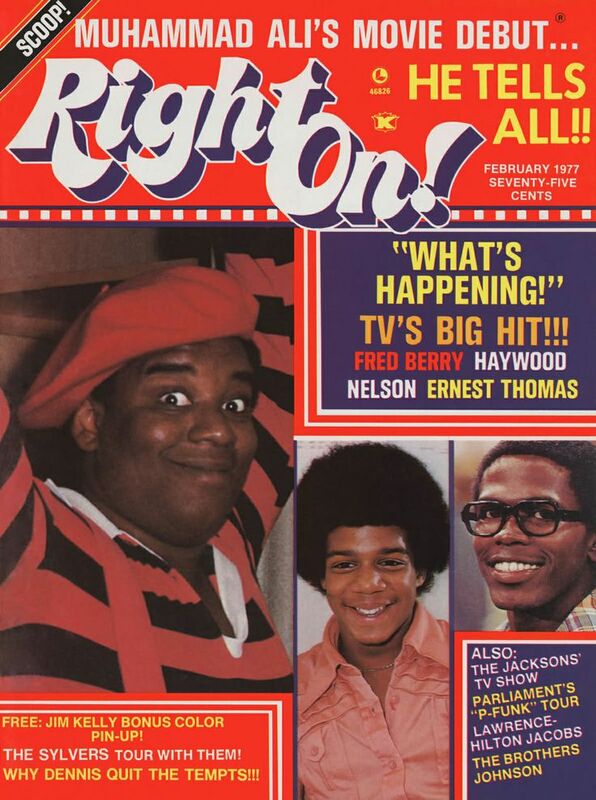 Haywood Nelson on the cover of Right On! magazine, February 1977. Ebony, Vol. Vol. 33, No. 8 (June 1978), p. 82.